With everything happening in the world at the moment, and technology taking over every little aspect of our lives, something is changing everyday and we have to learn how to adapt quickly. In recent years, one of the most important part of our daily lives, the workplace, has been going through a lot of changes. Ever since the concept of the remote worker was accepted socially, it became more and more prevalent in today’s business world. The concept is very simple: if you have a Wi-Fi connection and the company that you work for allows you to, you can do your job from home without having to be in the actual office. Well, ever since the telecommuters have started to take over, experts have also started to weigh-in on the present situation of what it means to work remotely, without leaving out the question about what’s going to happen in the future. Is remote work going to turn the population cold and distant? Is it healthy for people to stop growing in a work environment? What industries are changing the most because of this concept, and what’s going to happen with them? More than 15 years ago, there were a few jobs that would allow you to work from home, like a telemarketing or a customer service position. Actually, it was almost impossible to make a career out of working remotely. As a remote worker back then, you didn’t have all the current technology at your disposal at all times, and you were basically relying on a cellphone. The way technology has evolved in the past few years, made it possible for people to keep in contact with work colleagues and clients even when they’re out of the office. The best example that we can give you is video conference technology, which is actually more than 20 years old, but has only started to be used in companies when widespread broadband was deployed everywhere. Thanks to the incredibly fast pace that technology is evolving, nowadays being a teleworker is a perfectly normal concept and you can definitely pursue a career if you choose to live this lifestyle. Working from home has become a fairly accepted practice in the majority of offices around the world, but there are still some industries that require the actual presence of the employee at the workplace. The truth is that we are still trying to adapt to these major changes in our society, and are yet to become fully functional when it comes to working remotely. But that actually depends on the way a certain company is functioning, because different companies rely on different business tactics or communication tools that affect their organization in a positive or negative way. On one hand, there are companies that offer a lot of freedom to their employees when it comes to teleworking, by providing them with mobile devices, communication tools and all the necessary technology that enables them to keep in contact with people at the office or the business in general at all times. The people running these companies have certain beliefs according to which an individual should not be confined to an office setting or desk, and should be able to access company data relevant to his or her work, whenever that person is working outside of the office. On the other hand, some companies do not provide mobile devices or advanced communication tools for their employees. Given this situation, employees working remotely in one such organization, are forced to rely on old-fashioned tactics like texting, Skype, or Facebook Messenger. But this lack of communication tools can also affect the people working in the office, given the fact that they also need to communicate with each other, and some internal communication tools could really make a difference. As you can imagine, the lack of these advanced tools, might really affect the company communication and can really become an impediment for employees. Which Industries Are Going Remote? As we mentioned earlier, more and more industries have started to allow companies to adapt to a work from home policy. Some more than others. You might find this one a little bit surprising, but there is a huge number of people working from home in the medical and health fields. All of these people are able to have a career in this field with the help of a fairly new concept: telemedicine. Well, the idea behind this concept is to combine technology with health, and provide remote care for patients. When it was first made available, telemedicine was used for urgent cases in which emergency doctors would need assistance from other doctors around the world. But as time has passed and because of the increasing number of patients who expressed their wish for remote care, telemedicine can now be used for daily consulting or after-visit follow-ups. Medical and healthcare are industries where remote workers can find lots of options of employment. You can either become a healthcare information specialist, or you can simply manage billing, scheduling or you can provide phone-based services. If you find yourself wanting to pursue a career in this field as an actual doctor, but you would also like to have the comfort of working remotely, you are now able to do that because of telemedicine. This technology is definitely a great achievement in human history, but there are still a lot of questions in everyone’s minds about how reliable is this method of healthcare. And the reason why we brought this up is because some types of illnesses and problems require a face-to-face physical assessment and cannot be diagnosed through telemedicine. But the technology is still growing and doing better everyday, offering numerous benefits to people around the world who need remote care. The nature of this job makes it maybe the most obvious option when it comes to remote working. Given the fact that a person that works in customer service conducts most of his or her activities via phone or mail, it’s only natural to be able to do that from home. When starting one such job, that can have a title similar to customer care associate, contact center agent or technical support, all you have to do is to learn about the product that your company is selling and get on with your job. With the way things are going at the moment, the customer service jobs might go completely remote, since there’s not a lot of resources needed by the employees in order to execute their jobs. With the remote work concept taking over in the past few years, traditional marketing and sales are not as successful as they used to be. If you’re wondering why that happened, the answer is pretty straight forward: online advertising and ecommerce sales. On one hand, there are a lot of good things that happened for us, as customers, when the online took over marketing and sales. Online stores changed the way we conduct our daily activities, as we don’t actually need to physically go to buy most of the things that we use in our everyday lives. Traditional commerce took a backseat and e-commerce stepped into front and center – suddenly, thousands of products were just a few clicks away, and shoppers could also enjoy special deals, discounts, all sorts of savings, as well as user submitted reviews, which became a key purchasing factor for many. As Internet shifted to predominantly mobile, e-commerce followed with it. Now it’s easier than ever to catch a good deal online, but also impulse purchase stuff while drunk, as this study shows. On the other hand, many physical stores are closing down. Because more and more people prefer their online shopping instead of taking the time to walk to a certain place, more and more traditional stores can’t seem to be able to attract clients anymore. The recent closing of the “Toys R Us” chain of stores can certainly attest to this. So when people realised that online shopping has actually become a very profitable business, teleworking reached new levels again. It was only a matter of time until people would figure out how easy it is to just find some products to sell online and then just trying to attract customers through social media. And with all the tools, especially the research tools that are available nowadays, the process is easier than ever. Working in sales is not all about online stores for sure. This is a demanding job that requires lots of time and energy, even if you do it remotely. The nature of the job, that requires individuals to conduct most of their work activities by communicating with clients via email or phone, can make it very easy to integrate it into teleworking. Some of the most common jobs in marketing and sales that you can pursue from the comfort of your own home are: marketing manager, lead generation associate or business development and account executive. The working force has definitely evolved, and technology makes it all possible, but sometimes, the old way is the best way. The online marketing and online sales have surely taken over, but traditional business still has its place in the business world. Maybe there’s no need to mention this, but when it comes to computers and information technology, the remote jobs are countless. And not all of these jobs are about programming and developing software, because a good part of them include: web security, website maintenance, technical support or IT specialist. And that’s just to only name a few possibilities. The main thing that one such jobs requires from an employee is, as you would imagine, to have great computer skills. 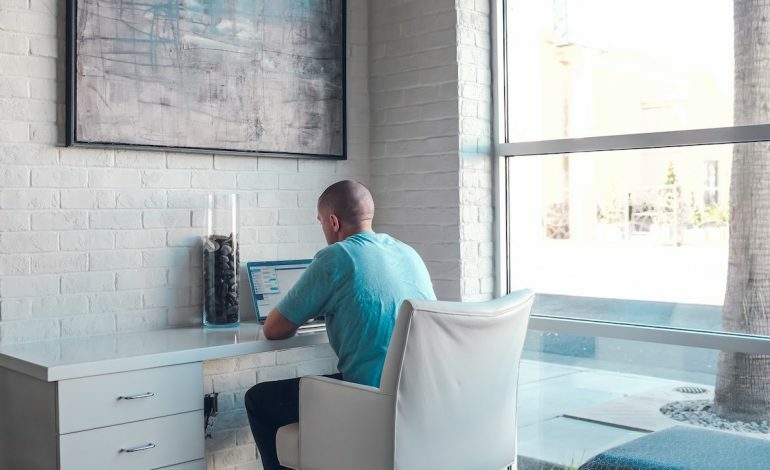 Given the fact that we’re talking about the field that makes all the other fields able to adapt work from home policies, we can say that the evolution of remote work in this area, has been crucial for the entire evolution of teleworking. Of course, people who work in IT, go through the same problems that any other remote worker from any other field goes through. The advantage that an IT person has when working remotely, is that he or she will probably be able to handle problems that might occur when trying to get necessary data from the employer company. You’re probably no stranger to online classrooms. But in case you’re wondering what is that about, you are now be able to connect with teachers or student all around the world, by just engaging in a video call. So that basically means that you can have a job as a teacher, without having to go to an actual school. This technology has changed and will for sure change the educational system in the next few years. More and more people have started to find learning from home more comforting that going to school. And we’re not only talking about students, but about adult learners too, adults that attend different classes or courses. The teacher job is not the only available one for teleworking when it comes to the education field. If you’re not a teacher, you can still work in this area as a tutor, curriculum developer or as a program director. 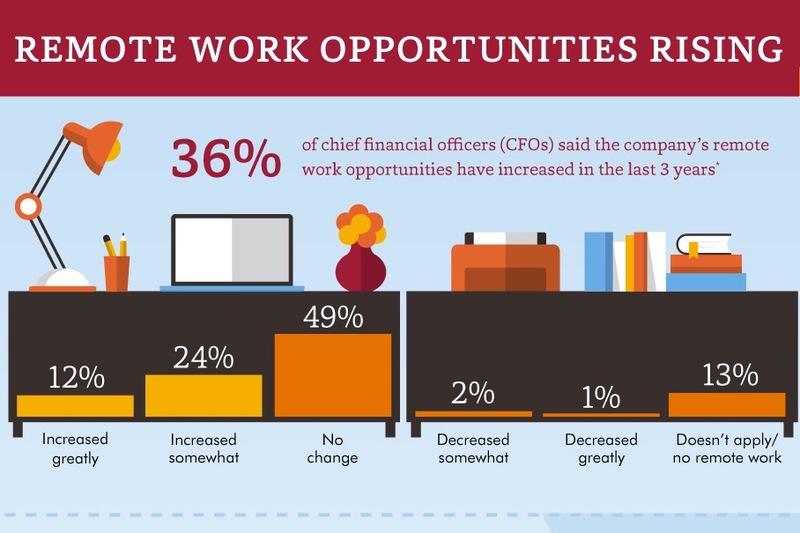 How Does Working Remotely Affect Us? We’ve been talking about how teleworking is affecting different companies, different industries or the way things work in general. But there’s one question that sometimes can be left out, and it might actually be the most important: how does working remotely affect us? We’ve already established that working remotely can bring lots of benefits to a company, but to the employees too. Of course this does not mean that you don’t have to be incredibly responsible in a traditional work setting, but it can get more difficult when you’re home by yourself. There are no colleagues around to get on your nerves or there’s no one telling you how to do things and when exactly to do them.That sounds like a blast, doesn’t it? Well, it’s not always like this, because sometimes you need people to help you in case of emergency, or to tell you what to do if you are not responsible enough. Given the fact that there’s no one around to watch over you, it can be pretty hard to motivate yourself in order to finish your tasks. You know that feeling when you just can’t resist the temptation to pick up your smart phone and start scrolling? Well, you are not in the office where you can’t do that. You’re at home and nobody is going to know that you spent your time on the phone, but that’s definitely not good for you or the company that you work for. Procrastinating will stop you from executing your goals and will also slow down your employer. No man is an island, that’s what they say. And when it comes to teleworking, they might be just right. The biggest problem that people working remotely interfere with, is getting lonely sometimes. There’s no laughing with the co-workers, there’s no team-building fun, no one around you, basically no face to face connection with another human being that does the same thing as you do. These are key elements of natural in-person collaboration and they are hard to replace while working remotely. Most people are under the impression that if you are a teleworker, you can work whenever you want, you have a very flexible program and you’re always free. That’s kind of true, but that itself is also the downfall. Those flexible office hours can easily translate to endless hours of work. The thing is that when you work in an office and the workday is done, you’re just going home and you’re done with it. But when you’re always home, you might find yourself working for more than 4 or 8 hours. After everything mentioned in this section of the article, we can all agree that working remotely is not necessarily a job that can be done by anyone. You need a lot of self-responsibility, self-motivation and you need to find some inner strength that will prevent you from becoming cold and distant, because you might find yourself being alone most of the time. So if everything is going remote, how is that going to affect the people who don’t have what it takes to work remotely? That’s still uncertain, given the fact that at the moment, working remotely is a matter of choice, and you can still change that if you find out that it’s not for you. But it’s scary to think that in a few years, the number of remote jobs is going to be bigger than the number of traditional office jobs. No matter how some people might feel about the changes that we’re going through when it comes to teleworking, the concept is still developing every day. For example, in the United States, nearly three-quarters of the workforce will work remotely by 2020. Of course, this sounds like a huge number of people, and it might be hard to believe. But you have to consider the fact that another thing that’s going to develop at an even more rapid pace, is technology. And this technology that we’re talking about, will make it possible for that astonishing number of people to be provided with everything they need in order to work and build a career from almost anywhere else but the office. If we take a closer look at those companies that we mentioned earlier, the ones who don’t really agree with remote workers or providing mobile devices for their employees, they will be almost forced to make a change in the near future. Well, more and more people are asking for the possibility to work remotely, and if a certain company is not able to offer that, that company might lose key people for their organization. And even worse than that, those key people might accept to work for the competition, the ones who are able to offer them the possibility to work remotely. As for the companies that already have an existent work from home policy, they will also have to go through certain changes. The current biggest concern regarding the teleworkers is about how productive they are and how they perform when no one’s there to supervise them. Furthermore, image is everything these days, and upholding of critical brand guidelines is necessary, since the customers have gotten used to the certain levels of quality, which have to be met no matter where the employees are located. Companies are expected to implement standard key performance indicators, that will help employees and managers to establish whether an individual is performing well or is productive enough. As if we weren’t all already aware, everything around us is changing. Who would have thought 20-30 years ago that we’ll be able to work while cooking breakfast, or while being in the comfort of our own beds? Maybe this is the reason why some people are still confused about the teleworking concept, given the fact that when you are a remote worker, it’s hard to separate work hours from home hours, because they’re both happening in the same place. Working from home is definitely an appealing idea, but it certainly has its downfalls, that you can’t really fully comprehend until you find yourself in that position. Many think that the evolution of remote work came along with people’s need to live more freely. People don’t want to sit at the office anymore, from Monday to Friday, from 9 to 5. We live different times and people have changed, and technology has evolved tremendously, so it’s only normal for us to go through these kind of changes. In the meanwhile, all we can do is to try our best in order to adapt to these changes and make the most out of the situations that we find ourselves into, remote work related or not. 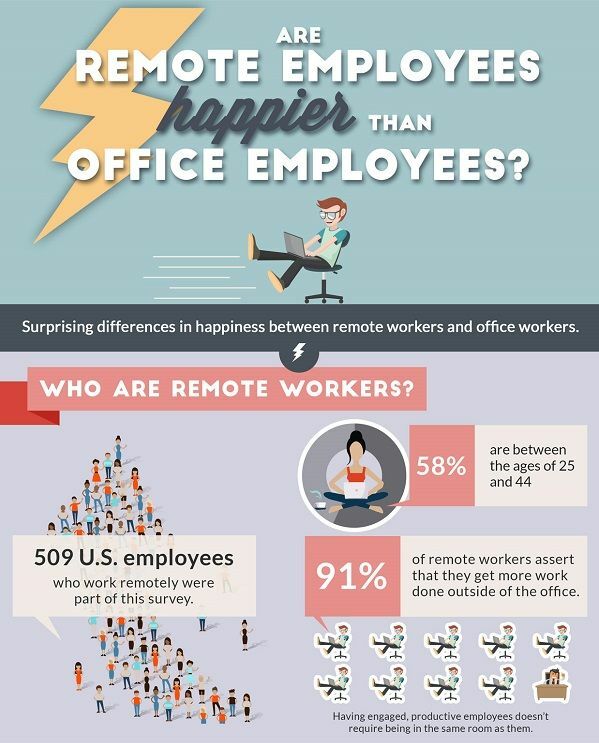 See full infographic here: Are Remote Workers Happier Than Office Employees? 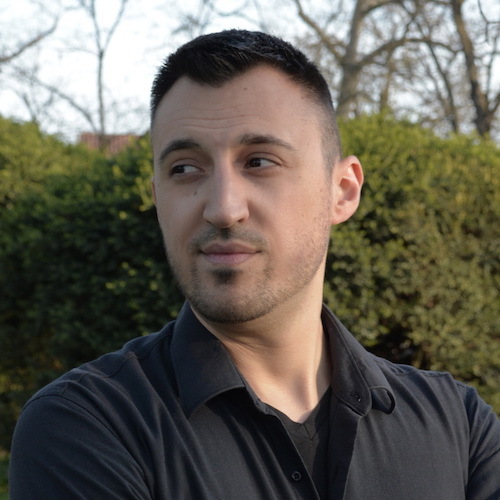 Philip Piletic focuses primarily on the fusion of technology, small business, and marketing. He is an editor, writer, marketing consultant and guest author at several authority websites. In love with startups, latest tech trends and helping others get their ideas off the ground. Philip would like to thank Couponbuffer for helping with this article.